The hugest cohort to pass through American society is turning 65 at a rate of 10,000 per day! They are the baby boom generation, and most know that remaining active is critical to wellbeing. 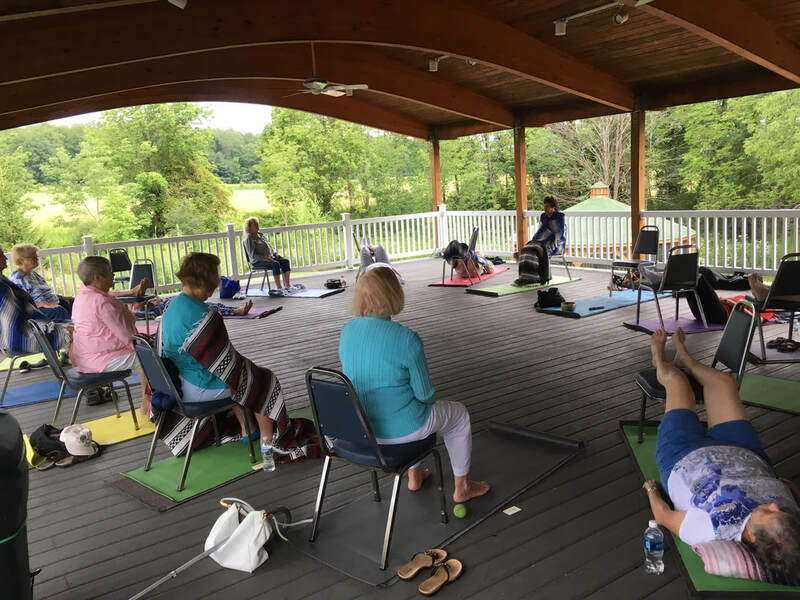 Chair yoga offers an opportunity for older adults to remain physically active and also creates the all-important sangha (community) to maintain a sense of belonging. 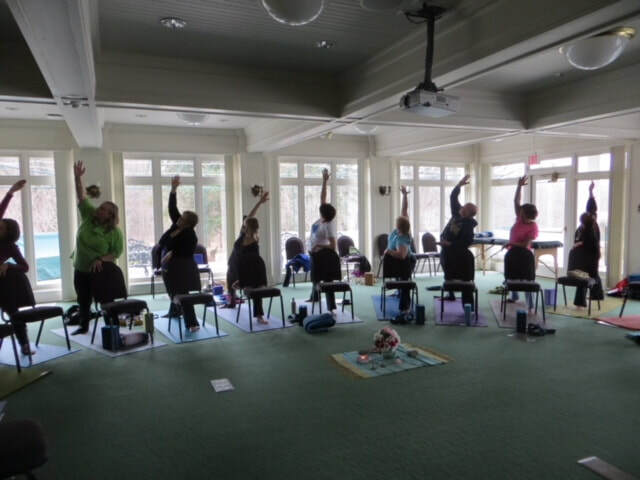 For yoga instructors, chair yoga is a growth opportunity! Many senior centers and facilities are in need of teachers, as are community centers and churches. Even businesses interested in lunchtime yoga may be best suited to a 45-minute chair yoga class. Whatever the situation, Restful Mountain Chair Yoga Teacher Training prepares yoga instructors to teach this growing style of yoga. The training is structured in two segments so students can complete a case study in between for learning. The workshop provides 16.5 hours of continuing education. Anne worked with her mentor Peggy Cappy, author of Yoga for All of Us, who leads trainings in teaching yoga to adults 50+. Anne also has a Masters in Social Work with a Certificate in Gerontology from the University of Pittsburgh. She was executive director of a non-profit agency working with senior citizens for six years in Pittsburgh. Awaken Yoga, 8646 Mentor Ave.
With gratitude to Cath Smith for her photographs.